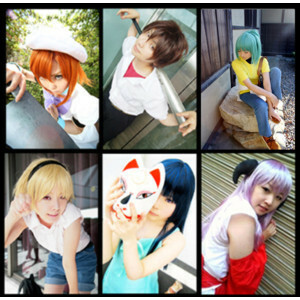 Higurashi Cosplay. Higurashi Cosplay. Wallpaper and background images in the Higurashi no Naku Koro ni club tagged: higurashi no naku koro ni. This Higurashi no Naku Koro ni photo might contain retrato, headshot, close up, and closeup. AAAAAAAGHH, ssoooohappy that these peaple actually LOOK good in this cosplay, Nipah! They all really match the characters. They look soooo adorable!